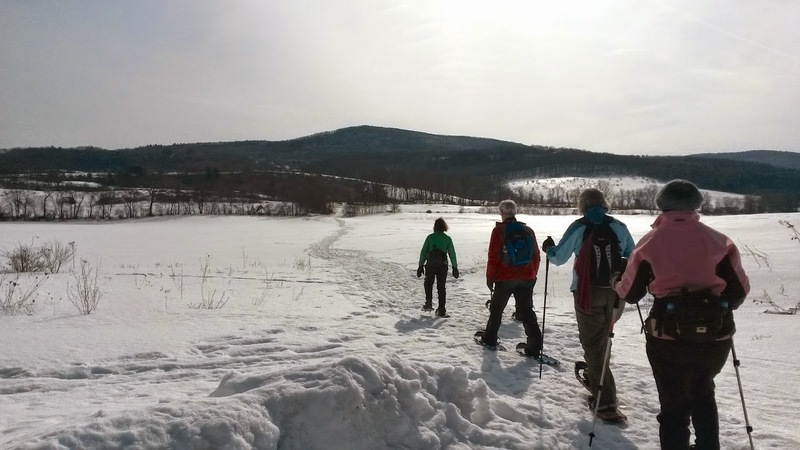 It was feeling like spring might be on the way Tuesday as we snowshoed through the fields at the Roeliff Jansen Park in Hillsdale, New York. The first bird we saw was a bluebird. I've heard reports of some bluebirds overwintering here but this was the first one I've seen since last summer. By noon I had shed my jacket and was feeling the warmth of the sun on my back and shoulders. I need to get out my sunglasses! The Roeliff Jansen Park opened in 2009. 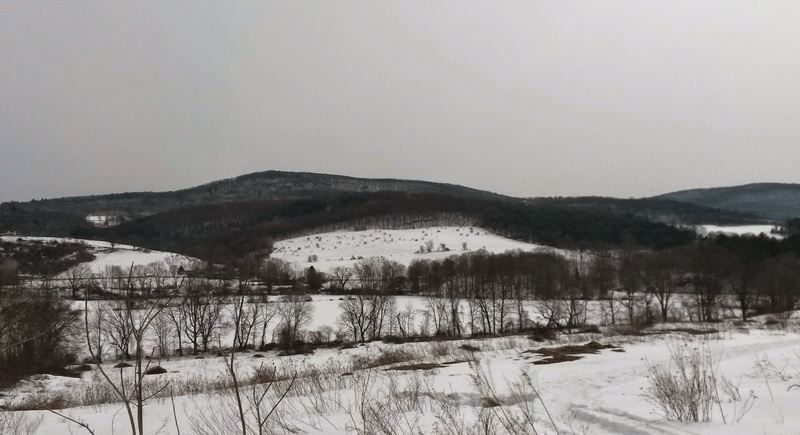 The land, which is owned by the state and managed by the town of Hillsdale, was saved from becoming a housing development. Much of the acreage is leased out to neighboring farmers thus preserving the agricultural landscape. 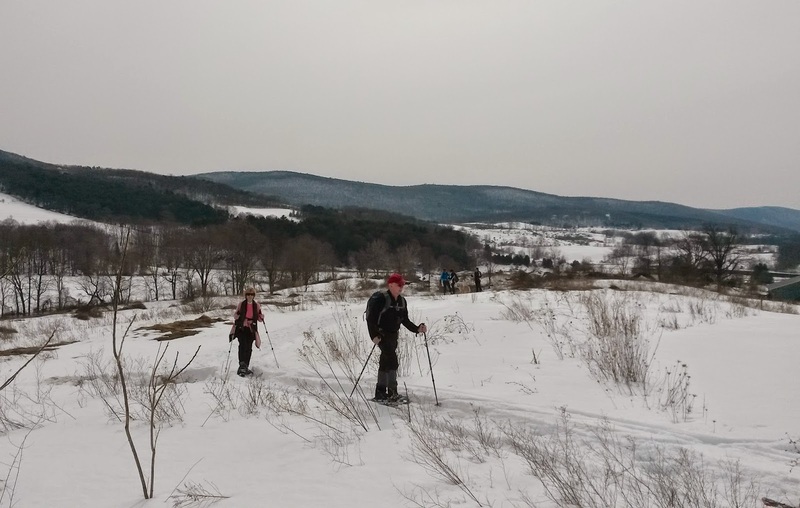 The trails are easy with expansive views. The park also includes a dog park, outdoor gym equipment and several buildings. 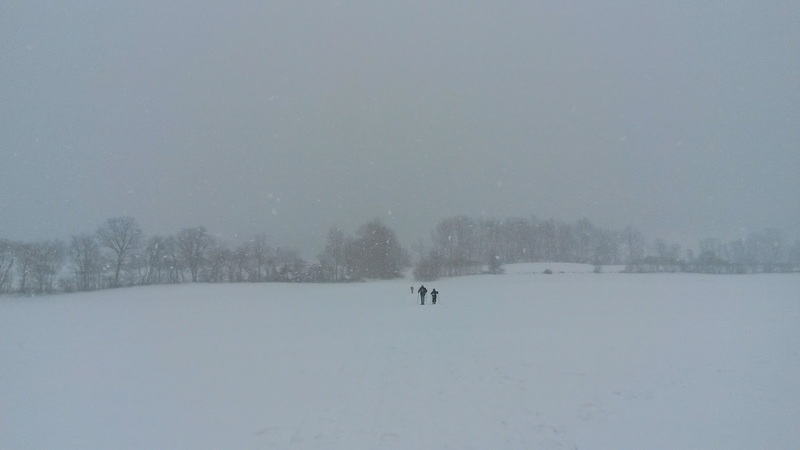 We set out across the large fields on our snowshoes. The top of a rise on the Overlook Trail has beautiful vistas all around. the same trails in a cold, windy snow squall. But now, spring is on the way! I'll have to check this out in summer! Need some new scenery!